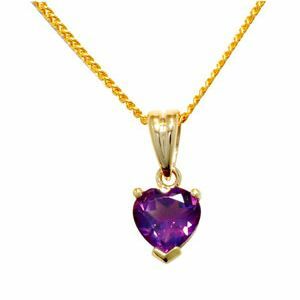 Gorgeous heart shape Amethyst claw set in a 9 ct gold pendant. 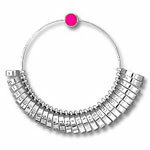 A romantic February birthstone and ideal Valentine's Day gift. Gemstone: 1 x amethyst purple heart shape 7x7mm. Material: 1 x grams solid 9 carat yellow gold.